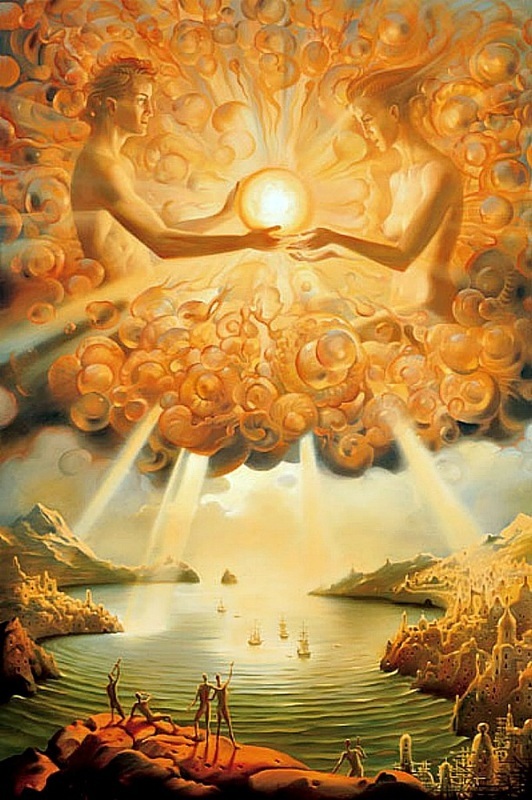 ﻿Union itself is the unifier - man and woman joined in honor of Divine Truth, enacting lovefull peace. This topples all walls of religiosity and dogmatic superiority. Union is not the monopoly of any one faith. All traditions acknowledge and rely upon union for perpetuation. The more mystic the unions, the more aligned to Truth, the greater society will flourish. False idols are our undoing. His word is a living Truth. Formations of wood and stone divert our attention. Even temples of brick and mortar become idols of a similar blasphemy. Which conglomeration of stone is the truest? Whose temple is most pleasing to God? The one not made by human hands... the one never composed of brick or wood or stone.